Leading security systems integrator named the exclusive US dealer for the neXus XCR100 2.0 card printer for oversized photo ID badges. 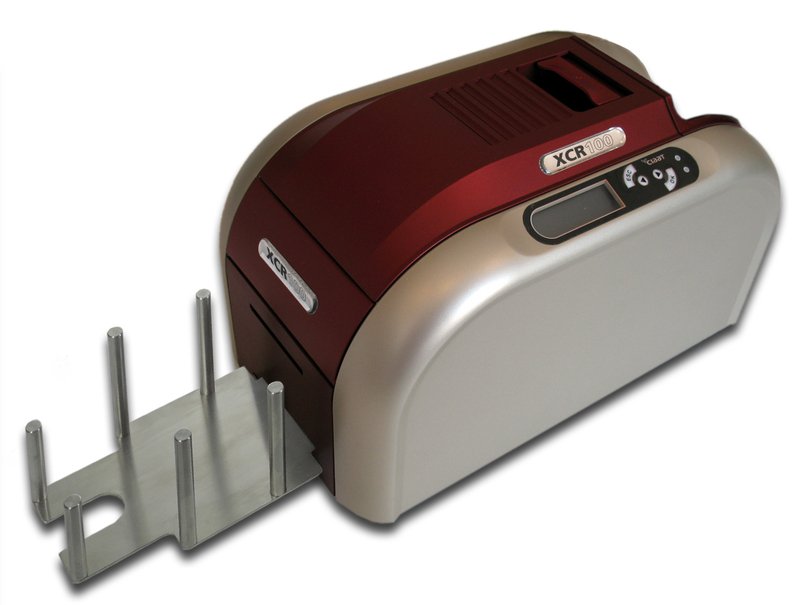 New York, NY — August 11, 2015— Idesco Corp., a leading New York-based security systems integrator, today announced that it has been selected as the exclusive US Dealer for the neXus XCR100 2.0 ID card printer. The neXus XCR100 2.0 ID card printer is the only printer on the market that can personalize CR100 cards (3.88″ x 2.63″). Easy to spot from a distance and too big to hide in a wallet, CR100 cards are 42% larger than the standard credit card size. Oversized badges help users identify at a glance who has proper credentials and access rights. Widely adopted in the healthcare industry, CR100 cards are also ideal for event badges, government IDs, and any other application where durable and secure ID badges are needed. Robust and easy-to-use, the neXus XCR100 2.0 ID card printer can print up to 180 full cards per hour in color, and up to 1,400 cards per hour in monochrome. Options include a flipper module to produce dual-sided badges in one pass, and contactless encoding to create secure access badges on demand. The neXus XCR100 2.0 ID card printer features a 2-year warranty. Customers can get a free demo of the neXus XCR100 2.0 printer at Idesco’s state-of-the-art showroom in Manhattan, NY. For more information, contact Idesco at 212-889-2530 or visit www.idesco.com.